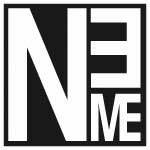 On Saturday April 6, 2019 at 7:30pm, NeMe invites you to the opening of the exhibition EXIT STRATEGY featuring a collaborative installation by Daisy Charles, Jesse Meredith, and William Wiebe. If this email is not displaying properly, view it online. Sometimes it feels like the whole planet is moving. Outside, the dust is blowing again. One day you pass a protest. One day you pass a checkpoint. One day you lose your job. One day your pipes run dry. One day you start walking. One day a fence rises in the distance. The pace is slower up north. You only feel the motion when your speed changes. The officers say the border begins at the bridge, but you have a feeling that it starts offshore, with the contractor in Bermuda. The contractor says the border is virtual, but in all likelihood it begins in your body, with the iris scans stored in Bermuda. The hackers say the border is flexible, but the contractor’s lawyers tell you that Bermuda is only a word on a piece of paper. Face recognition accuracy is very susceptible to emotions. Maybe it’s time for a vacation. Open your passport. Look closely. Does the person staring back at you have access to the opportunities you deserve? If you answered “no,” you may have a problem with your birth nation. Here’s the good news: naturalizing has never been easier! Select individuals now have the opportunity to receive citizenship with the purchase of prime island real estate. The same free market policies that stoke economic crises-privatization, deregulation, offshoring-now promise a hierarchy of social contracts, bespoke political/tax havens made with you in mind. Lifetime subscription models track engagement and make sure your experiences exceed expectations over many, many years. Different purchase tiers afford different privileges. Generally, members do not have the right to terminate their membership. Membership may be terminated at the discretion of the nation-state. Refugees from capital are not a recognized category. Please refer to the current list of designated global conflicts. Without official status, fairness is an arbitrary priority. But don’t worry, that development isn’t going to build itself. They’ll need some day labourers once the project breaks ground. If you want to work, then work; if you don’t want to work, you can go. In this country, every shovel is ceremonial. Upon arrival, heed posted signage. Rights are only ever conceded begrudgingly. If you step in the riverbed twice, they’ll shoot you. No federal statute authorizes a damages action by a foreign citizen injured on foreign soil by a federal law enforcement officer under these circumstances. You are not an alien. You are not a citizen. You are a person. In collaboration with Duncan Bass and the Cyprus University of Technology Department of Fine Arts. Exhibition Opening: Saturday 6th April 2019, 7:30pm. 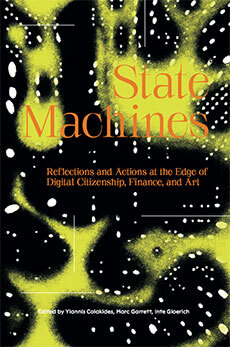 If you are still with us do download AND order for free the publication State Machines: Reflections and Actions at the Edge of Digital Citizenship, Finance, and Art edited by Yiannis Colakides, Marc Garrett, and Inte Gloerich. Today, we live in a world where every time we turn on our smart-phones, we are inextricably tied by data, laws and flowing bytes to different countries. A world in which personal expressions are framed and mediated by digital platforms, and where new kinds of currencies, financial exchange and even labour bypass corporations and governments. Simultaneously, the same technologies increase governmental powers of surveillance, allow corporations to extract ever more complex working arrangements and do little to slow the construction of actual walls along actual borders. On the one hand, the agency of individuals and groups is starting to approach that of nation states; on the other, our mobility and hard-won rights are under threat. What tools do we need to understand this world, and how can art assist in envisioning and enacting other possible futures? This publication is supported by the Amsterdam University of Applied Sciences.